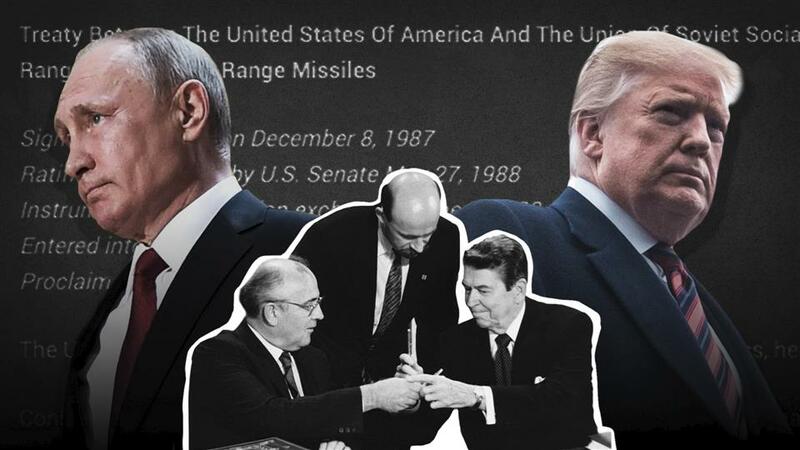 Home News Russia Suspends Nuclear Missile Treaty With U.S.
MOSCOW—President Vladimir Putin formally ordered a suspension of Russia’s obligations under a Cold War-era nuclear treaty with the U.S., his office said Monday, a death knell for the pact that heightens the threat of a new arms race. The Kremlin said the decision to suspend the agreement was made after the U.S. said it would stop abiding by the pact, the Intermediate-range Nuclear Forces Treaty, which prohibited the possession, production and flight testing of certain short and intermediate-range nuclear missiles. 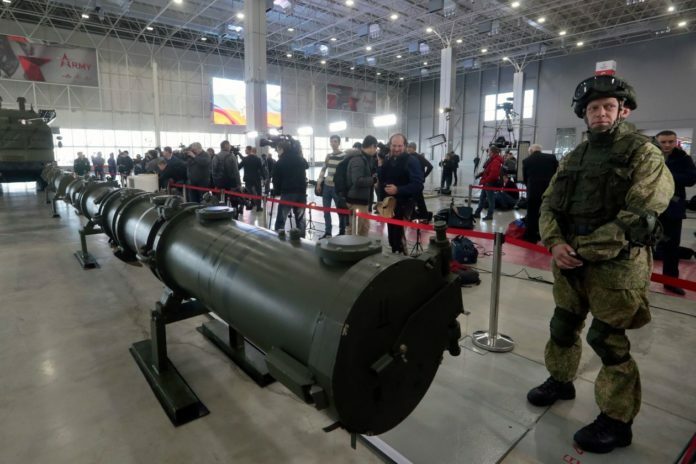 The statement didn’t acknowledge Washington’s accusations that Russia had broken its obligations under the INF treaty with the testing of its nuclear-capable 9M729 missile. Those accusations have been met by sabre-rattling from Moscow, with Mr. Putin warning that the unraveling of the agreement would lead to a new arms race. Russia’s Defense Ministry said earlier this year that work was under way to develop new missile systems, including a hypersonic long-range rocket. Mr. Putin has threatened that the deployment of any U.S. short or intermediate-range missiles would result in Moscow targeting the U.S. and its military bases and command centers. An influential weekly news program on Russian state television last month reported that missiles launched from submarines off the U.S. coast could hit targets in less than five minutes. Russia, however, is unlikely to want to get involved in a long-term race with the U.S. to develop and stockpile nuclear weapons, when Washington has a defense budget many times as large as that of Moscow. While both countries are relinquishing their INF Treaty obligations, they could still use a non-deployment agreement as a way to prevent an arms race. Such an agreement could give the U.S. room to give Russia security assurances while deploying closer to China. President Trump has justified suspending the agreement in part in response to China’s large arsenal of short and intermediate-range missiles, which fly between 310 miles and 3,400 miles, the range prohibited by the INF pact. The treaty, signed in 1987 by President Ronald Reagan and Soviet leader Mikhail Gorbachev, was seen as one of the landmark agreements that sealed the end of the Cold War. Nearly 2,700 American and Russian missiles were destroyed under the accord, which applies to missiles based on land rather than those fired by aircraft or based at sea. At the heart of the U.S. objections to the 9M729 were allegations from Washington that the missile has been tested from a fixed launcher to a distance of beyond 310 miles.